and CONCLUSION with footnotes and references. Isabella Wesoly has been painting on wood since 1977 and creating 'wall art' since 1982, setting up her creative business in 1997 and trading under the name 'MaKing Murals'. Her craft talents also encompass art of glass, digital illustrations and designing (plus making) gift items with semi-precious stone. 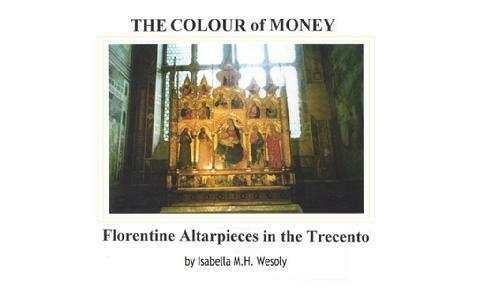 Isabella also writes, blogs, poems, stories and reviews. 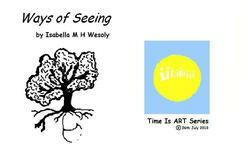 Her first E-picture Book, called 'Ways of Seeing', is available via the link below. The link also leads to the first two free chapters from an illustrated story, that Isabella created, which is entitled 'Beyond the Ebb-Stream'. The free illustrated story includes a friendly dragon guide plus 3 gemstone angels, the latter are available to purchase as jewellery pendants and/or gift charms through her brand BNC GIFTS™.